The other day, I met an 18 year-old college student at a party. His name is Yoshiaki NAGATAKE, the most famous Keio University student in Japan. 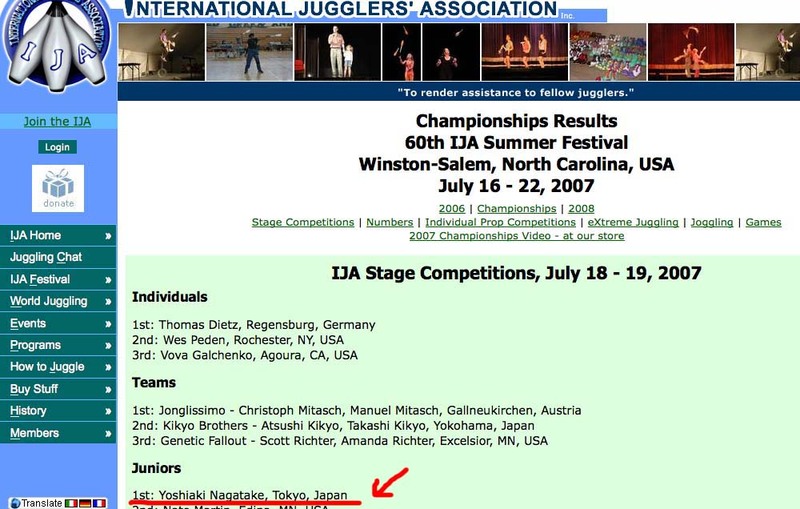 He was the world junior champion of IJA (International Jugglers Association) Stage Competition of 2007. I saw his performance at the party, it was really impressive. So I decided to interview him to share in my blog. Before we move on to the interview, let’s watch his brilliant juggling techniques. 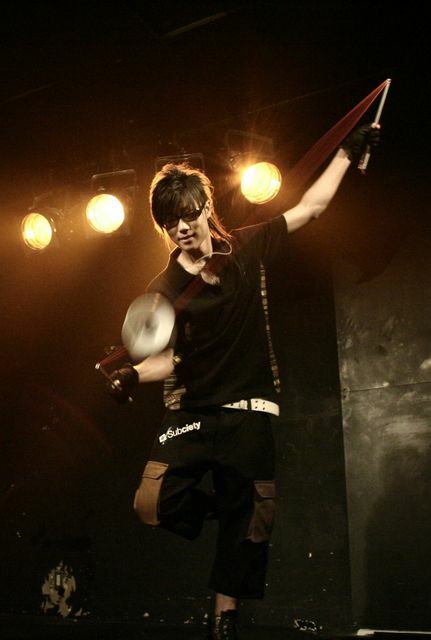 1: What does your stage name “Senjyu” mean? 2: When and how did you start? – When I was at 7th grade, I was moved by a 9th grade student’s juggling performance at our school festival, so I talked to the student after the performance. I borrowed the prop and practiced it rest of the day without paying attention to the festival. – Chinese yo-yo called diabolo is what I am good at. I can juggle anything in general like balls, clubs and rings, but diabolo is my specialty. 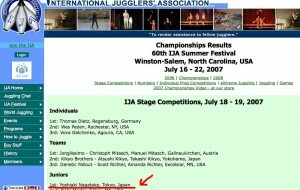 I entered and won the junior championship with diabolo only. 4: How long do you practice a day? – I used to practice 8 hours a day but I am busy at university lately, so now it’s 2 hours. I practice as much as possible whenever I have time at various places; at a gym, a park or basically wherever the ceiling is high (or none). 5: What your future course will be? -I am not going to make my living by juggling only. I will be a Sunday- performer who performs only weekends, but I consider finding an employment after finishing college. Since I gained the title of “champion”, I have been self branding to sell my self. In the process, I got interested in “self branding”, which is why I hope to work at an advertising agency. I just don’t want to end up as a “salary-man” but want to be a social entrepreneur who aims to “improve the social status of entertainers in Japan”. It’s not too much to say that I am going to find an employment just because I want to acquire skills and procedural knowledge, and also to save money. As a performer, a creative director and a social entrepreneur, my future goal is to be a man with a lot of “drawers (capabilities)”. It may be different in other countries but there are not so many 18 year-old who can talk about what he/she thinks of or plans for his/her own future in Japan. After the interview with Yoshiaki, I was assured that he will be a world class material and accomplish his dream. While hoping for increasing of young Japanese who can contend with the world like him, I was encouraged to work hard on my business to not beaten by them. He is very handsome, like he should be in an idle group!